During the March 22 New York City Council vote on changes to the city’s zoning code, a group of protesters on the balcony of the city council chambers locked eyes, joined hands, and started chanting “Hey hey! Ho ho! MIH has got to go!” As the council speaker called for order in the chamber, more in the balcony raised their fists and voices in protest, prompting a recess as councilmembers vacated their seats to watch the demonstration unfold. On the floor, staffers whispered to colleagues that this meeting was the most exciting in a while, both for the action on the balcony and the passage of Mandatory Inclusionary Housing (MIH) and Zoning for Quality and Affordability (ZQA), two landmark zoning resolutions that stand to radically reshape streetscapes and the availability of affordable housing in New York. In the weeks leading up to the city council vote there were fears (and hope, from anti-rezoning activists) that the measures would not pass. Although the City Planning Commission—the majority of whom are mayoral appointees—approved both plans, 50 out of 59 community boards rejected MIH and ZQA. The council took note of the opposition and revised the proposals to limit height increases. One of the rezoning’s most vocal opponents, a coalition of community groups and housing activists called Real Affordability for All (RAFA), endorsed the plan after these changes were made. The revised MIH and ZQA sailed through the council by a 42-5-0 and 40-6-1 margin, respectively. In essence, the new ZQA allows for more and taller buildings, while protecting the feel of individual neighborhoods. The nearly 500-page amendment makes it easier to build on corner lots, rear yards, and create front setbacks. ZQA imposes height transition requirements onto residential areas with dramatically different maximum height allowances to broker a less jarring segue between zones. For example, if an R4 zone, with a maximum allowable height of 35 feet, abuts an R7D district with a maximum height of 105 feet, then the new regulations mandate that buildings in the transition zones range in height from 45 to 65 feet. ZQA and MIH work in tandem to require developers to build affordable housing in certain areas of the city that are zoned for MIH. ZQA allows for higher floor area ratio (FAR) for mixed-income developments in contextual zones, and frees these developments from envelope constraints that the city says prevents the building of “high quality” housing. In practice, this will translate to 10 to 20 feet of added height and more variegated setbacks in qualifying buildings. ZQA is meant to encourage taller ceilings for ground-floor retail. If a developer builds ground-floor retail with 13-foot ceilings, the building is eligible for a five-foot height increase, in most areas. Higher ceilings, ZQA and MIH proponents claim, allow for more light and air in indoor spaces and a more inviting streetscape. Many preservation groups, however, are not pleased with the height increases allowed under both amendments or the political climate under which the zoning changes were brokered. Simeon Bankoff, executive director of preservation group the Historic Districts Council, sees ZQA “as top-down zoning that was politically motivated. All of those contextual zones [more than 120 in all] were painstakingly, individually zoned over the last 25 years. To change the rules of the game on 10 percent of the city is not fair.” Bankoff would have liked to see the city continue with neighborhood-based, contextual zoning, as opposed to the upzonings that MIH and ZQA presume. 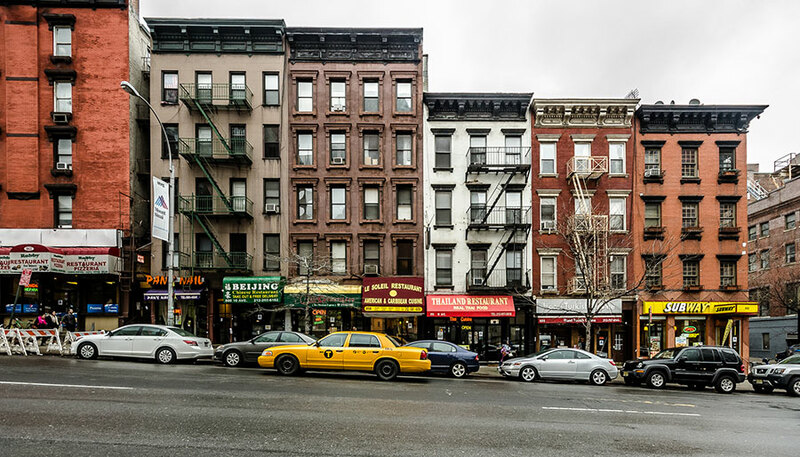 Additional changes folded into ZQA include a reinstatement of the Sliver Rule, a law that prevents taller, narrower buildings from being built next to shorter structures. Onerous parking requirements for developments near subway lines were scaled back, and incentives, like higher FAR in all residential zones, are in place to develop market-rate and affordable senior housing. The size of a senior housing micro-unit was increased from 275 square feet to 325 square feet. MIH is one of the most comprehensive affordable housing mandates of any U.S. city. Notably, affordable units in qualifying developments will be permanently affordable. Initially, groups like RAFA were concerned that the plan was not extensive enough on this front. The city council worked to address these issues with a new provision: Under MIH, developers will have the option to set aside 20 percent of residential floor area for households making 40 percent of the AMI (Area Median Income), or $31,080 for a household of three. (Affordability thresholds are derived from averages of many levels of household income: to have an AMI of 40 percent, a developer could, for example, open affordable apartments to households making between 40 and 80 percent of the AMI.) Additional options include building 25 percent of units available to households making an average of 60 percent of the AMI, and a 30/80 option. Previously, AMI was capped at 120 percent; under the revised text amendment, AMI is capped at 115 percent ($89,355 per year for a family of three). With urging from RAFA, the city has agreed to conduct a study to see how it can broaden “deep” affordability for lower-income New Yorkers. In the meantime, there will be no more “poor door”: All tenants, regardless of income, will have access to the same building amenities as market-rate tenants. For those interested in taking a deeper dive into the zoning text amendments, PDFs of MIH and ZQA are available here.